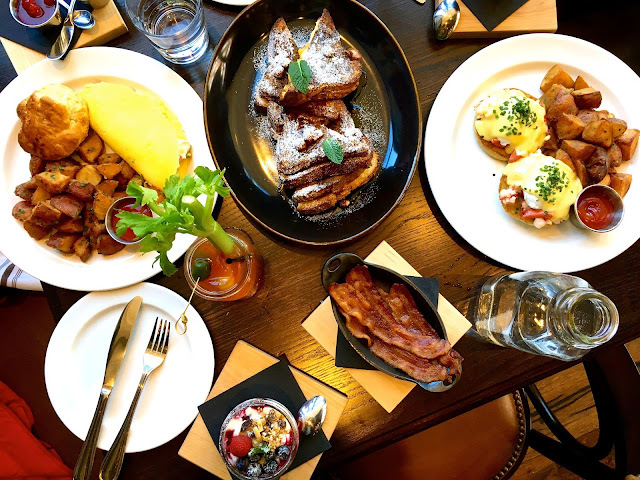 Along with recent recipes, we are back featuring some of our favorite foodie finds in the greater Boston area. . .
A brand new member of the Grafton Group in Boston’s historic Long Wharf, State Street Provisions (255 State Street) is a spacious modern tavern with rustic flare. 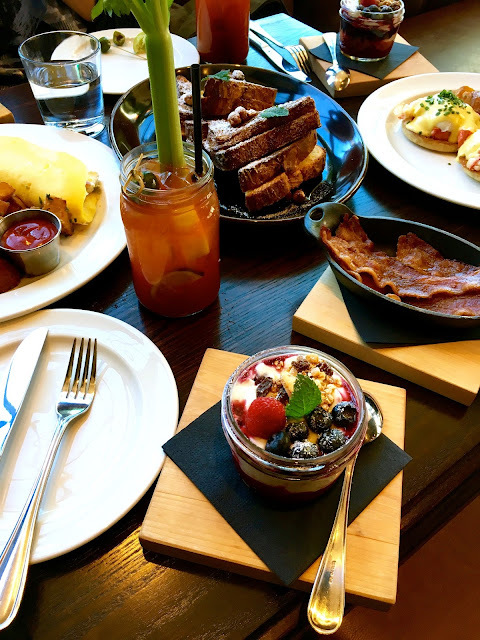 We visited on a brisk Saturday to sample the popular brunch menu. On a Saturday morning, the setting attracted pre-New England Aquarium families with baby strollers, tourists, and locals from the North End and surrounding neighborhoods. At night we assume the eatery appeals to a younger post-work crowd from the neighboring Financial District. Our server was extremely friendly and charming clad in a crisp orange checkered button down with jeans and a rustic gray apron. He informed us that basically everything is made from scratch, and suggested dishes that met our tastes. He mentioned the Tuna Crudo is incredibly fresh and vibrant. We’ll be sure to order it on our next visit. The welcoming, expansive windows allowed us to people watch on the Rose Kennedy Greenway across the street. Around the corner was Boston’s Long Wharf extending across the shoreline. A few steps away was the New England Aquarium and ferries docked for the Boston Harbor Islands. The overall nautical design had vintage touches and modern notes like a hanging orb chandelier in the main dining room. Wide-paneled wooden floors extended throughout the space with thick, wooden tables surrounded by tan leather booths and Captains-style chairs accented with patterned upholstery. The expansive wrap-around bar with vintage accents had an original mural depicting the Boston harbor during the early 19th century behind it. Each lacquered table was set with rustic white, kitchen napkins, no tablecloths. The cocktails were served in mason jars, and water was poured from big old-fashioned milk bottles. Classic silverware was wrapped in white kitchen napkins.. The parfaits and preserves were served in mason jars and positioned atop square wooden slabs. All entrees were served on white plates except the French Toast served on an oval black platter. 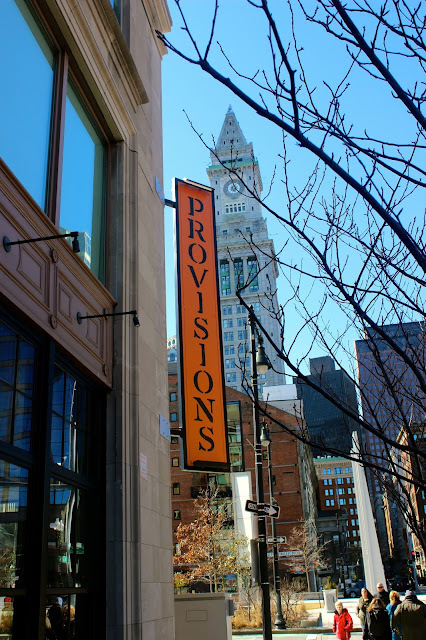 We are excited to return to State Street Provisions to sample the dinner menu and look forward to seeing outdoor seating available when the weather is warmer. Can’t come soon enough!